A world-class car dealership experience sets a new standard for Mercedes-Benz. Refined design details reflect the precision and luxury styling of the brand. Guests are encouraged to take advantage of on-site amenities such as the full-service spa, café, lounge, golf driving range, and consult with the concierge. 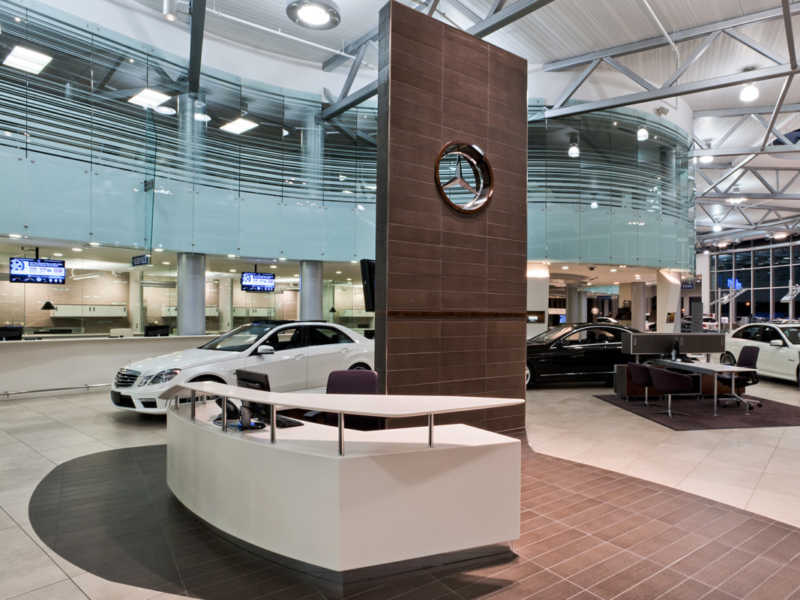 The service counter, has been put front and center of the showroom to emphasize the value of customer interaction and an integrated service approach.